Today we are happy to have Jill guest posting for us! 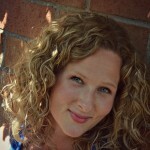 Jill is a wife and homeschooling mama to two girls. She is also a violinist and advocate for Compassion International. Jill loves the outdoors, finding beauty in everything, gardening, reading, running and traveling. You can find Jill on her daily Instagram feed or at her blog Daily Bread. Our family loves to hike, and we try to do so regularly. We live in the Pacific Northwest and weather doesn’t always cooperate, but we do try to get out several times a month. Personally, I find hiking refreshing and invigorating ~ a way to refuel and nourish my soul. There is something so rewarding about the breathtaking view from the top of a summit or the hidden waterfall. And let’s face it, we have some pretty fantastic scenery in this part of the country that’s worth seeing in all four seasons. 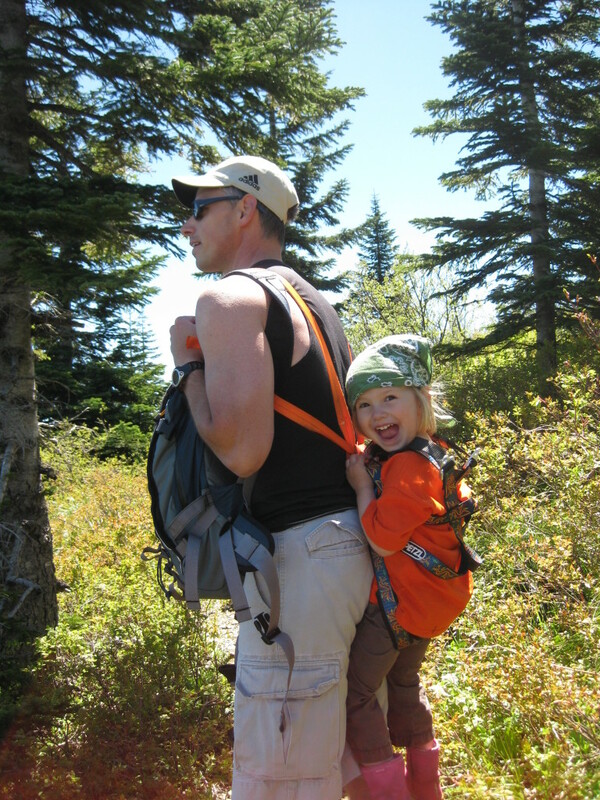 Not willing to wait until our children were “old enough” to hike, my husband and I figured out ways to take them along. We started by carrying them in backpacks and then when they were able to walk, we would do short hikes. 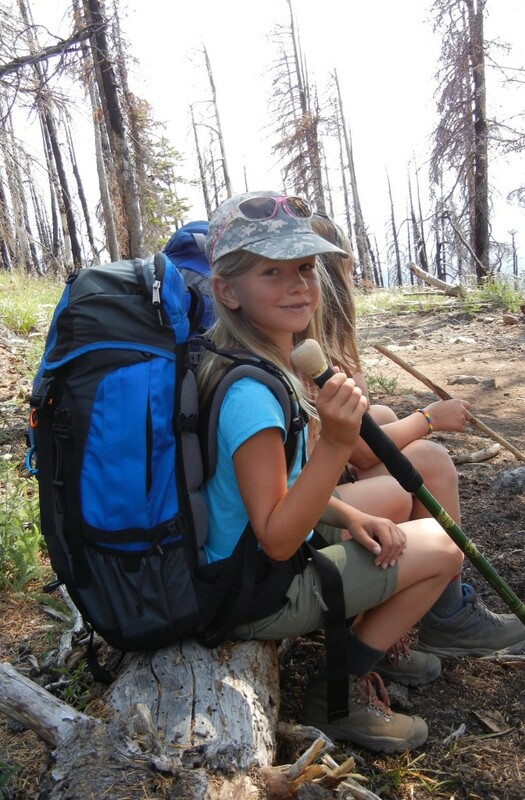 Now ages 8 and 10, our daughters have hiked many miles in many states and know that when the weekend comes, it’s time to hike. This post is not meant to be prescriptive, but rather is an attempt to share with you what works for our family. My hope is that you will be inspired to get your own family outside and enjoy the great outdoors. Our only expertise in this area comes from getting out and doing it regularly. Although our girls can handle longer hikes (5-8 miles), we didn’t start out that way. We also don’t finish every hike we set out on. The important thing to remember is that it’s a journey ~ an adventure ~ and there is no right way to do it. We have several different hiking books for our area and areas we regularly visit. The internet is also a great resource when it comes to finding nearby hikes. We spend some time during the week choosing our weekend hiking destination. By knowing where we are going ahead of time, we are able to prepare ourselves for the drive there and back and the hike itself. We happen to live in a rainy part of the country so we’ve invested in rain pants, rain coats and rain hats. This outerwear works well for the majority of the year. We also each have gaiters that help in both rain and snow, and waterproof boots are a must for us. Another key for dressing accordingly is layering – zip off pants are wonderful for both kids and adults, as well as t-shirts and lightweight long sleeved shirts. I also try to remember to pack an extra set of clothes and shoes for the car. Often at the end of a hike we find ourselves muddy and wet, or hot and sweaty depending on the weather. It’s nice to be able to change into clean, dry clothes and shoes (especially if we stop at a restaurant on our way home). Each family member also has their own backpack (daypacks and larger packs, depending on the hike). We carry water bottles, snacks, first aid items, hiking book or map, magnifying glasses, bug traps, hats, gloves and more. If we are hiking to the beach, we clip our sandals onto the outsides of our backpacks, and pack beach toys for while we are there. Depending on the time of day and the length of the hike, we often pack lunch. At the very least, we pack water and snacks. (We have found chocolate very helpful in getting through longer hikes.) 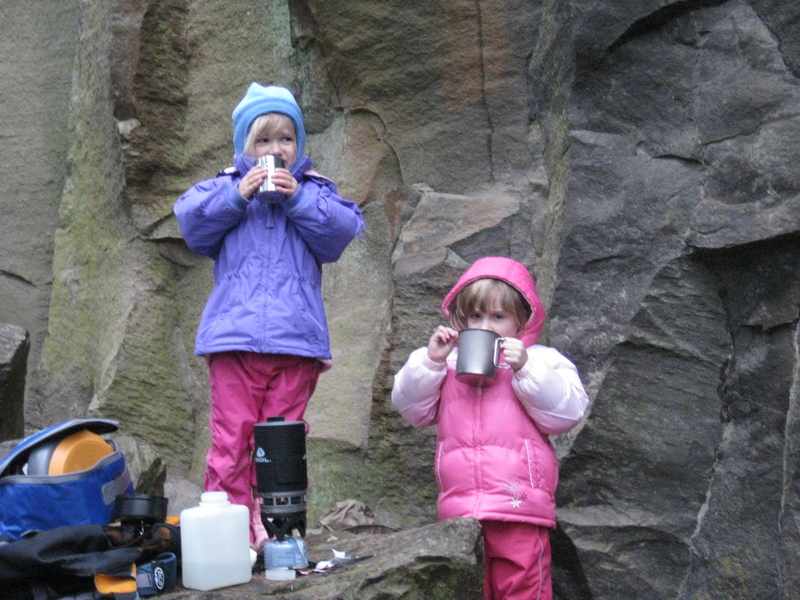 If hiking with little ones, be prepared to rest regularly. We don’t have a set pattern for this, nor do we honor every request to rest. We do, however, try to respect the fact that our kids have shorter legs and need more rest than we do (although as they are getting older, sometimes their energy surpasses ours). In an effort to make the most of these hiking adventures, we look for every possible opportunity to learn about the environment we are passing through. Often we take time to get a closer look and take pictures of what we see. 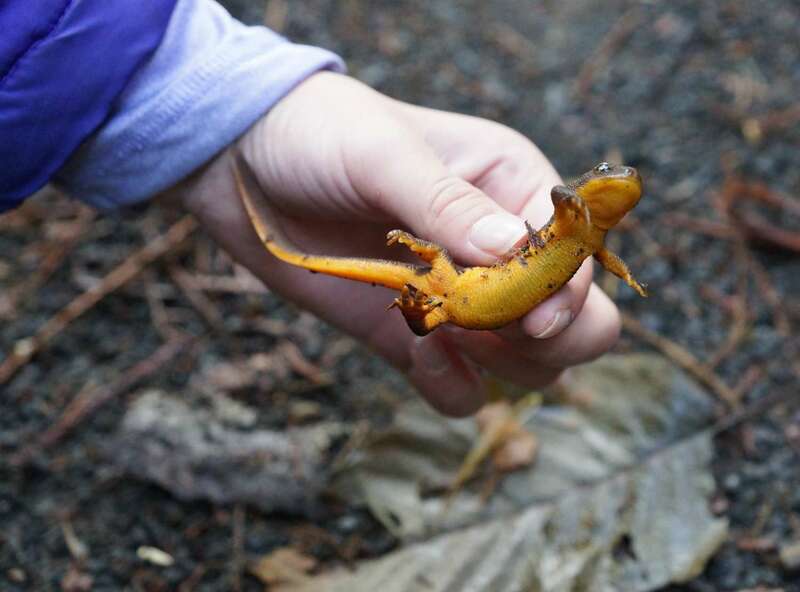 Some examples of what we’ve encountered on our hikes include: slugs, salamanders, beetles, snakes, lizards, wildflowers, fungi and all sorts of plant life. We identify which plants are edible and could be used in survival situations. On one hike, we took photos of every mushroom and fungi we saw and attempted to identify them once we got home. In an effort to minimize misadventures, we often have to get creative…even if it means pulling kids in sleds or creating makeshift carriers. Sometimes we even take the time to build forts or temporary shelters in which we can rest for an extended period of time. 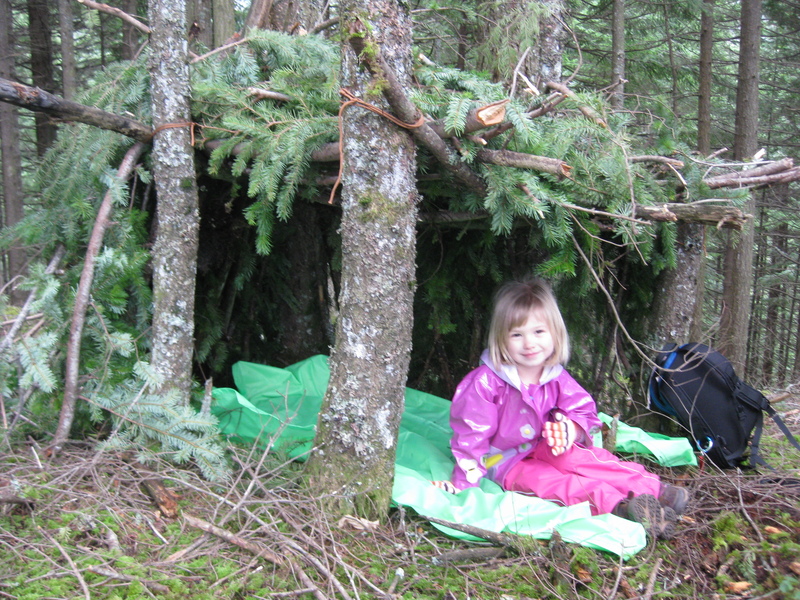 Over the years, the girls beg to go back to their “forts” and spend the day rebuilding them. 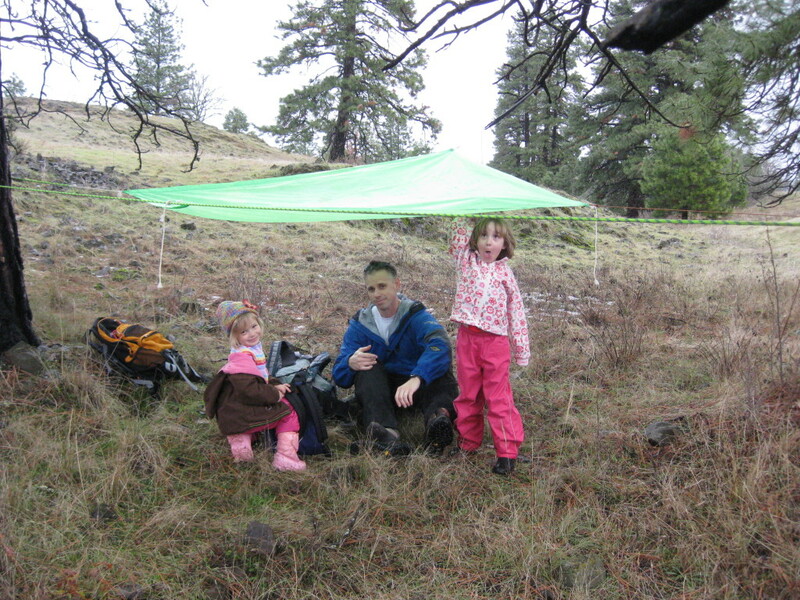 My husband always has this green tarp in his pack and we’ve used it to sit on, as well as to protect us from the rain. We also use our time on the trails to tell extended stories or play games. 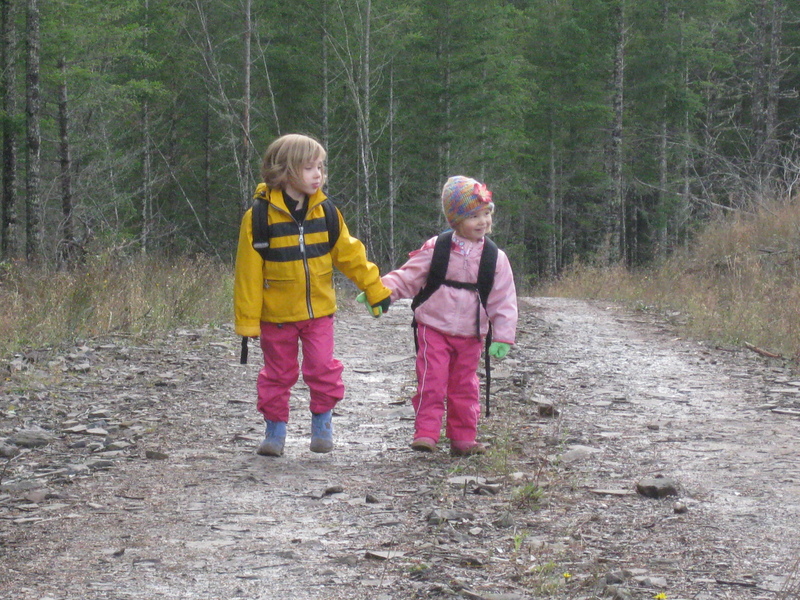 My girls especially love this part of hiking and it’s a great way to connect different parts of our family culture – our love of stories and the outdoors. We’ve also been known to recite memory work, skip counting, math drills and other school-related work we need to review. 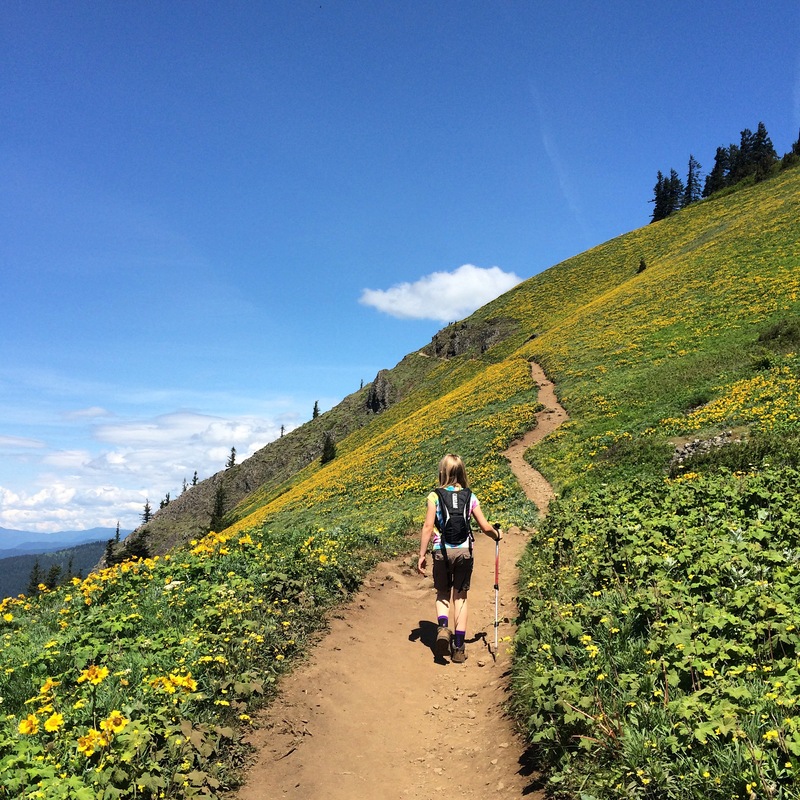 I’ll end with this…we have found hiking to be such a wonderful way to stay active, enjoy the beauty of the northwest and strengthen our family bonds. We have many memories of our times on the trails and all have favorite hikes. If it’s helpful, connect with like-minded families. 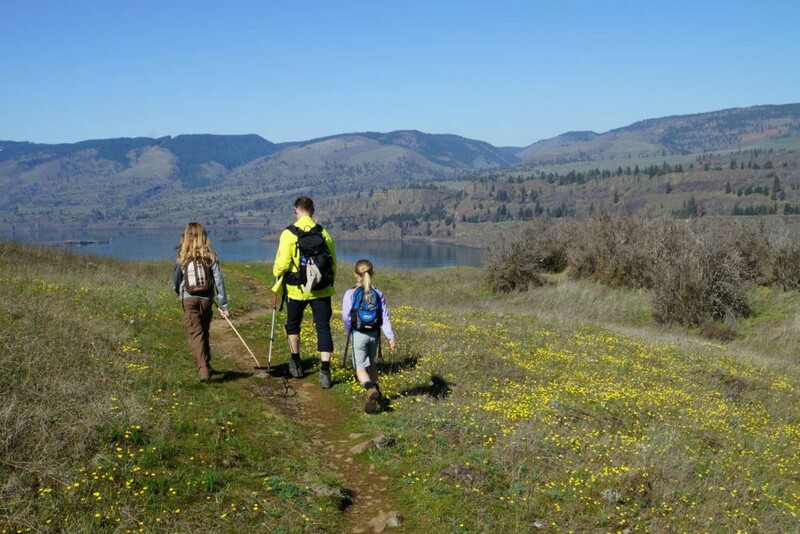 There are other families that are as crazy about hiking as we are and following their blogs or other social media accounts is inspiring and encouraging. Perhaps you can find other families to join you on a hike. Jill is a wife and homeschooling mama to two girls. She is also a violinist and advocate for Compassion International. Jill loves the outdoors, finding beauty in everything, gardening, reading, running and traveling. You can find Jill on her daily Instagram feed or at her blog Daily Bread. Jill, I absolutely love your perspective and wisdom. I’ve always loved your instagram feed and found your family to be super inspiring in the ways you pursue outdoor activities and nature. I’m always caught between wanting to haul my kids out to hike and wanting to just stay home because it’s ‘easier.’ Thank you for the encouragement!